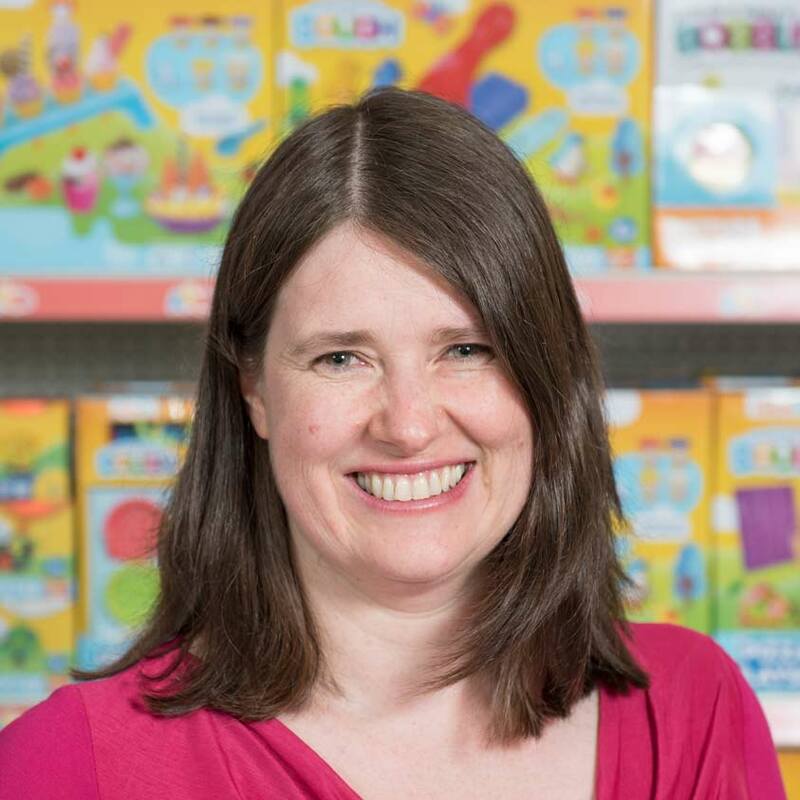 Addo Play is a British toy company. 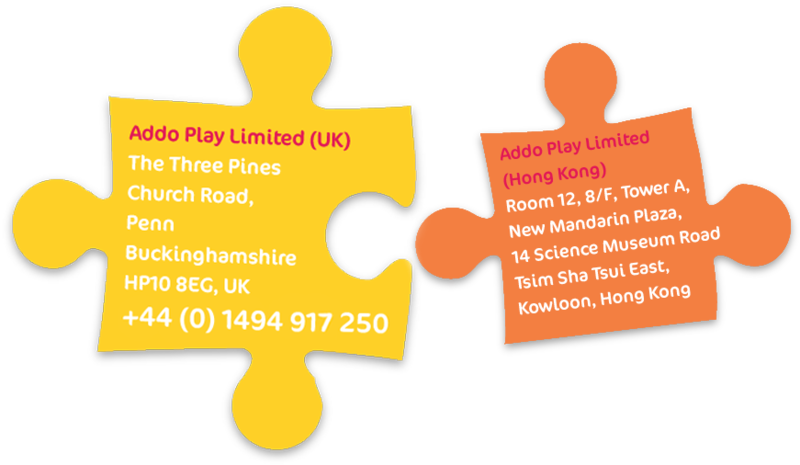 Addo Play is a British toy company. 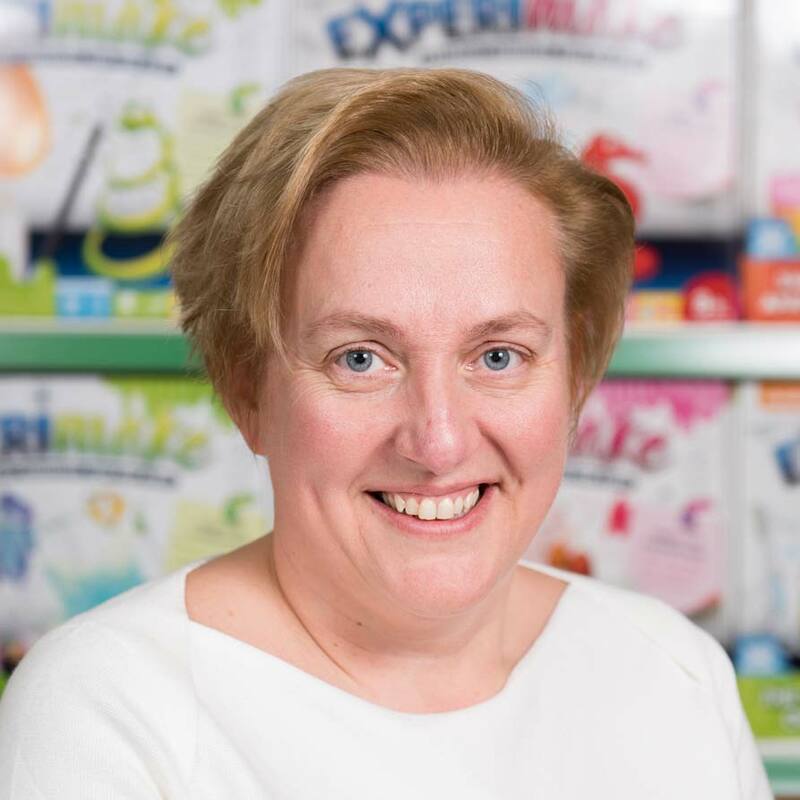 Our toy story started in 2015 with David Martin and Mary Price who had a vision to create a new fresh toy company which would inspire hundreds of ways to play, every day. We aim to create intelligently designed, safe, trustworthy toys at outstanding value. Children are at the centre of everything we do. Attention to detail is paramount from the toy itself to the attractive, clear and informative packaging. Stretch it, squish it or simply let it ooze through your hands. Liquid Lava Putty is super versatile and tons of fun to play with. The Pitter Patter Pets love nothing more than making you happy with each pet moving in their own way exciting way. 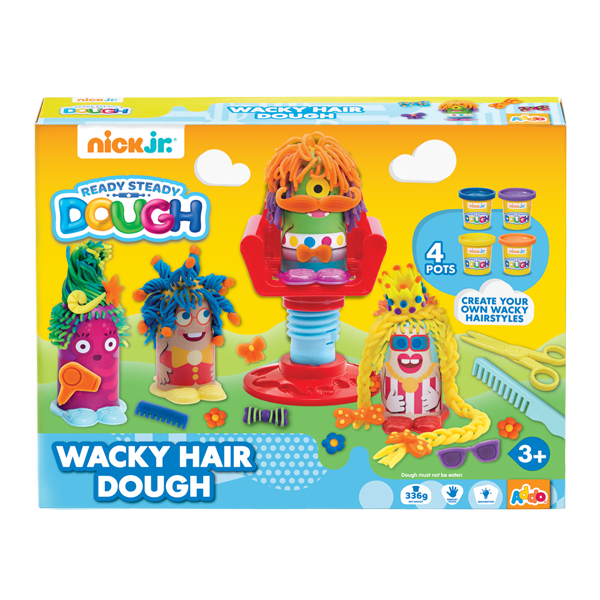 Welcome to a world of discovery with our Nick Jr. Ready Steady Dough range. 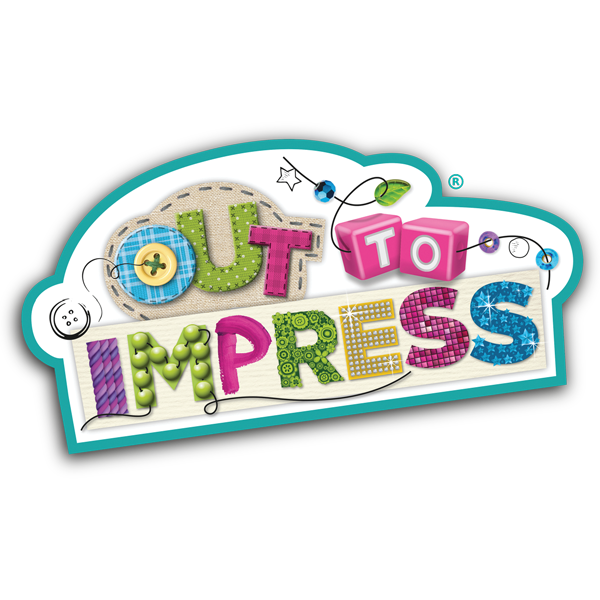 Inspire imaginative role play with our Busy Me range. Role play helps your children discover the World around them, all whilst learning through play. 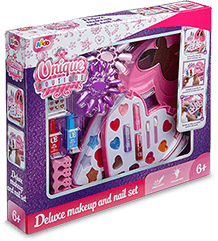 You’ll be making and creating for hours with the endless options in the Out of the Box craft range. Get crafting with one of our craft sets. Create your very own cuddly best friend, step back and admire your handiwork, or impress your friends by trying your hand at designing your own jewellery. 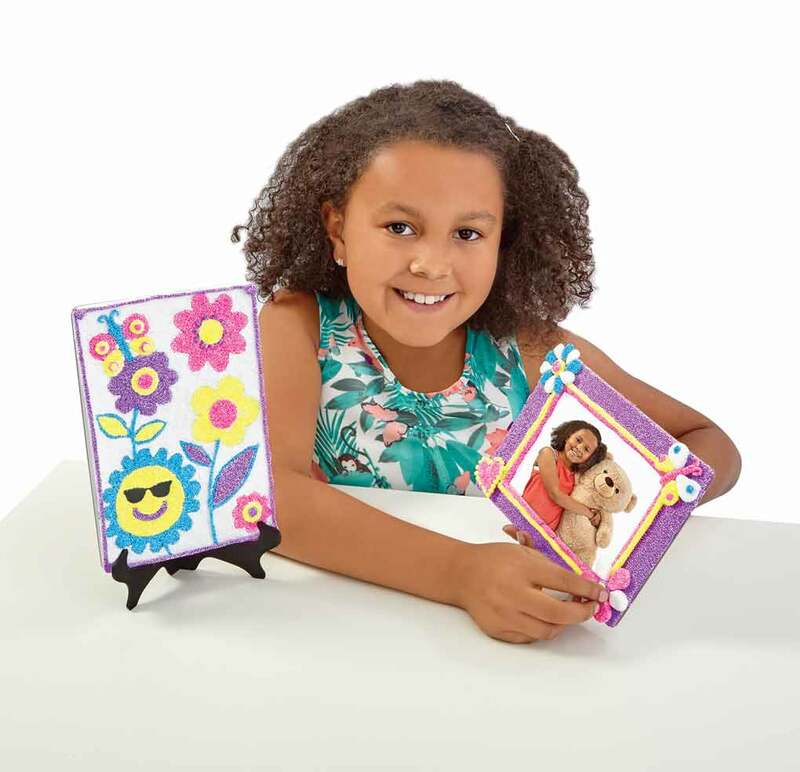 Amaze all your friends with your design and crafting skills with the Out There range. Open a tub of our Awesome Animals to discover dinosaurs, farmyard animals, jungle creatures or creepy crawlies. 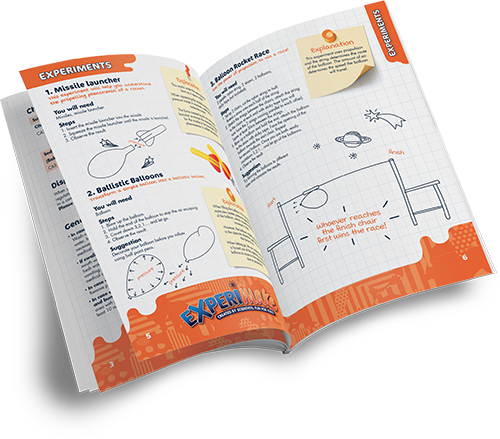 EXPERIMAKE science sets have been designed by scientists to encourage learning through play. Through play B friends encourage creativity, confidence and character. Each beautiful doll, has their very own unique personality and style. Our dolls are made with love, care and attention. With natural look and feel hair. Delight your little ones with our Be My Baby range to nurture and love. The dolls range from my very first soft doll to a cute and cuddly playset. Super soft and made with love our Snuggle Buddies soft toys range from Teddies, Llama's, Flamingos, Unicorns and friends are always there for snuggles. Stretch it mold it, bobble it! Creative mess free fun! 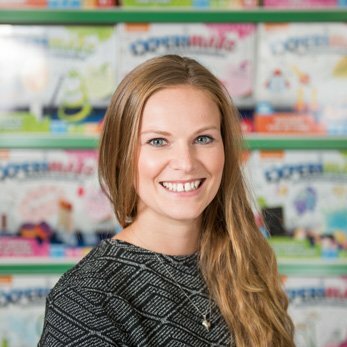 Our rapidly expanding range of brands includes several licensed ranges, multiple craft brands suitable for different age groups, role play, soft toys, science, dough, makeup and water blasters. Our toys encourage creativity, imagination, fine motor skills, nurture, STEM and other key play attributes. To view the full range please visit the shop. Welcome to the customer support page. We value our customers, and want to ensure our little customers enjoy their toys. Here you can find downloadable instructions, manuals and activities. We can also keep you updated with upcoming competitions and entry details. Looking to talk to a member of our team? Please contact us us by clicking on the button below and one of our team will get back to you. I have always worked in toys. 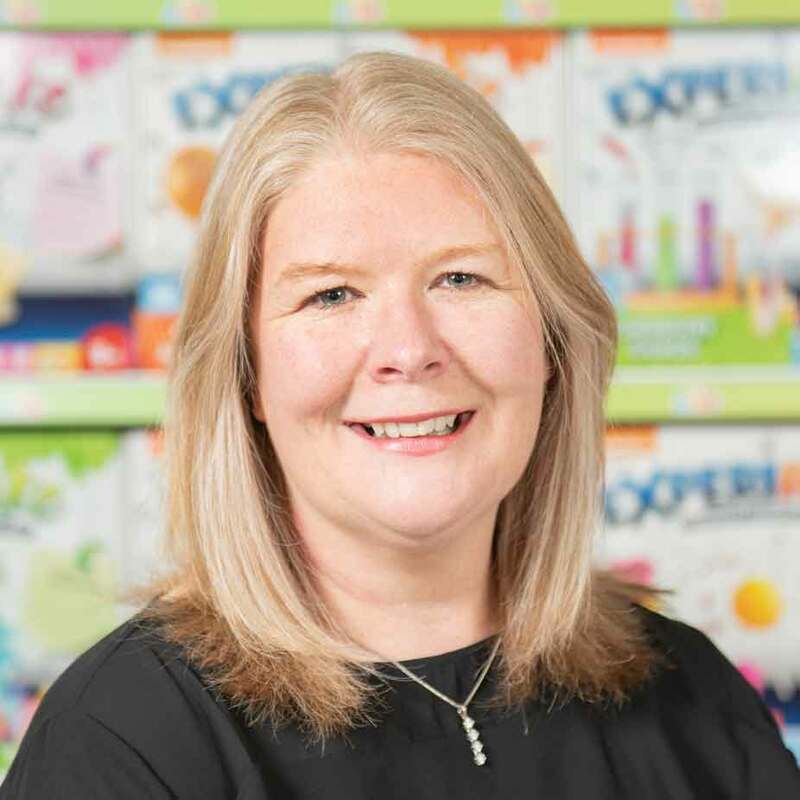 My toy story began at Woolworths 20 years ago as a Buying Assistant in Preschool Toys and progressed to managing the Toy Buying Team and a £300m budget. I am hugely passionate about product. My favourite childhood toy was my Tiny Tears doll and pram. 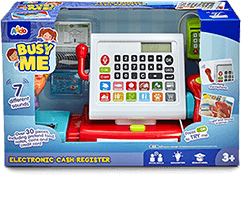 My favourite Addo toy is Busy Me Cash Register or Out to Impress Make Your Own Bunny Rabbit. 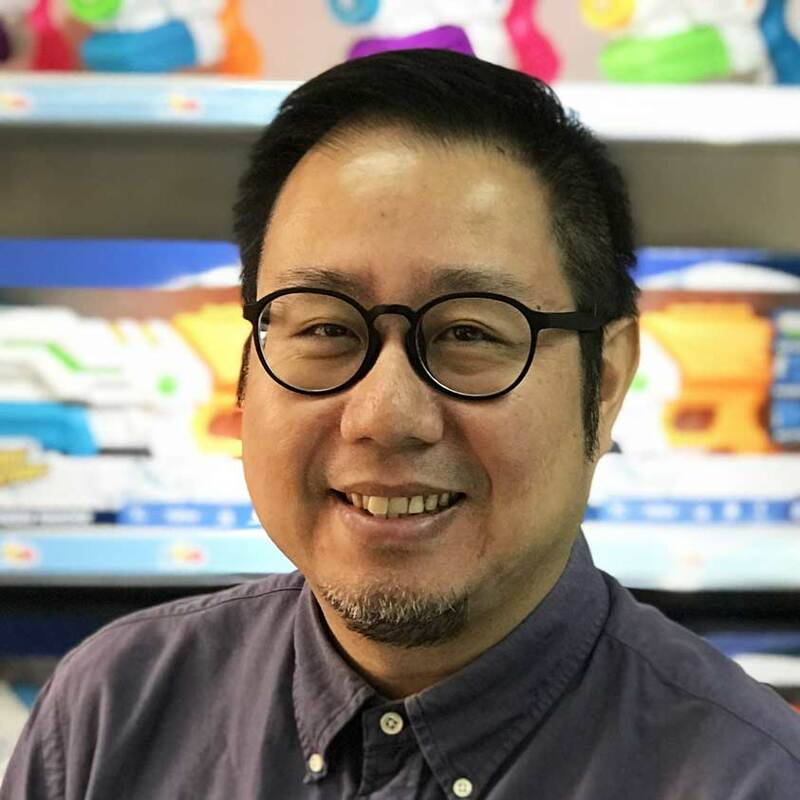 My Toy story started in 1995 when I joined Mattel as a graduate trainee, I joined Mega Brands/Mattel in 2008 as UK General manager, becoming Vice President of International in 2011, before leaving to jointly set up a new exciting adventure with Addo Play in April 2015. My favourite childhood toy was Action Man. My favourite Addo toy is Out to Impress Make your own Teddy Bear family and the Ready Steady Dough Wacky Hair Dough. 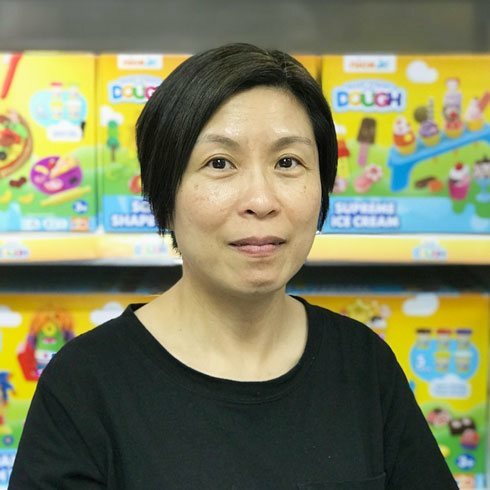 My career in the toy industry started at Mega Brands in 2005, I was at Mega for almost 10 years, I joined Addo Play in 2015 as the UK office coordinator, I love being part of a new company and working with a great team who are all passionate about the success of Addo. My favourite childhood toy was Etch A Sketch. My favourite Addo toy is the Pitter Patter Pets Happy Hoppy Bunny. 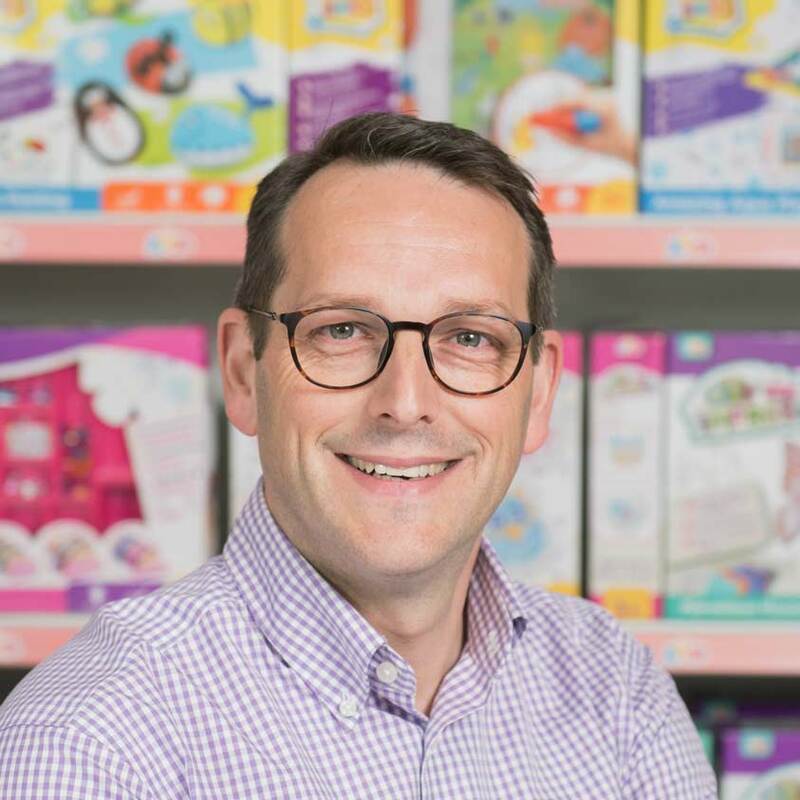 After graduating in International trade, I worked for a couple of global engineering manufacturers, before joining Grobag, the original baby sleeping bags creators first as Sales Director and then Managing Director. My own toy journey, started with Worlds Apart in 2006 as Head of International before leaving in 2018 to join the Addo team on an exciting new adventure. My favourite childhood toy was Playmobil, the native American sets. My favourite Addo toy is Bobble it. 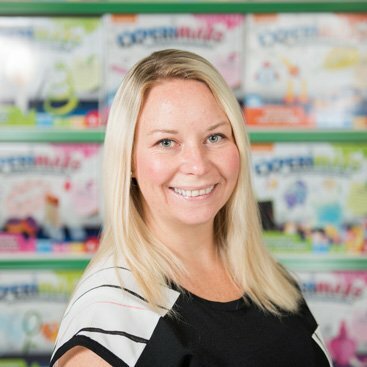 I will be celebrating my 15th year in the toy industry in 2018! 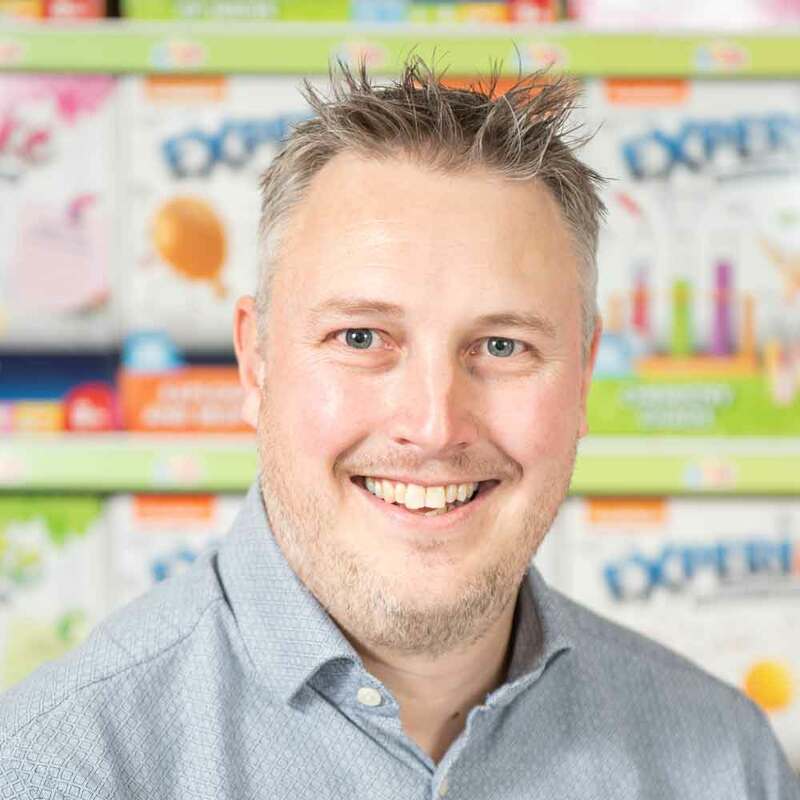 Having previously worked across multiple disciplines at Mattel for 10 years, from Trade Marketing Representative to Grocery Sales Manager and then joined Mega Bloks as the UK General Sales Manager. Previous to toys, I was a buyer for Meat & Poultry at Iceland Supermarkets, but thankfully toys stole my heart and I’ve never looked back! My favourite childhood toy was Matchbox Live & Learn Play Boot. My favourite Addo toy is Busy Me Doctors Medical Case. After graduating in Business in the summer of 2016, I have had roles in both sales and marketing to build my experience. 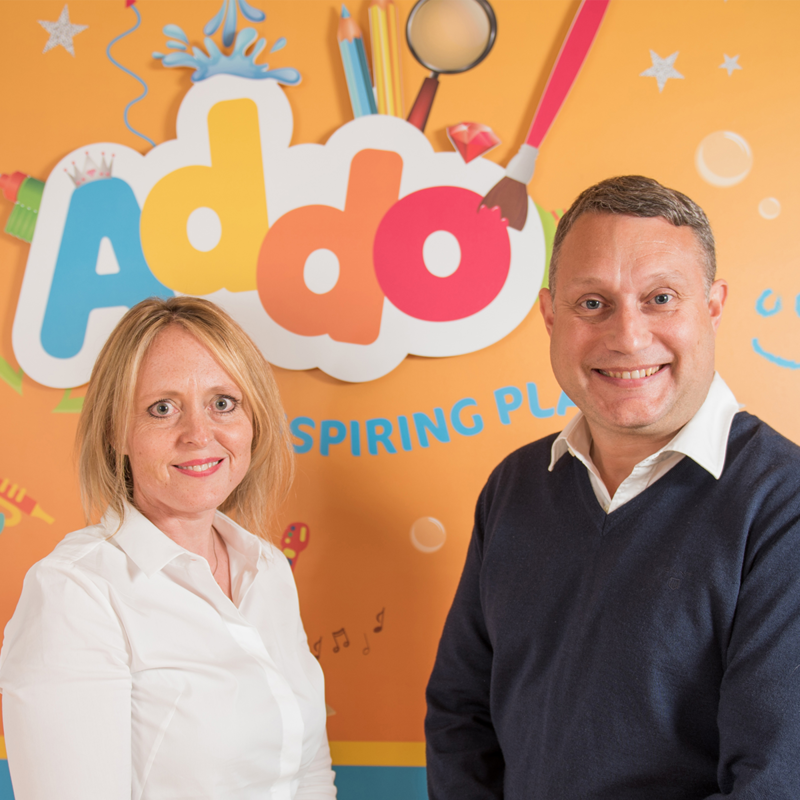 I am now starting my adventure in the toy industry with Addo and enjoying every moment of it! My favourite childhood toy was Silly Putty. My favourite Addo toy is Liquid Lava Putty. Even at secondary school I knew I wanted to be a Marketer. 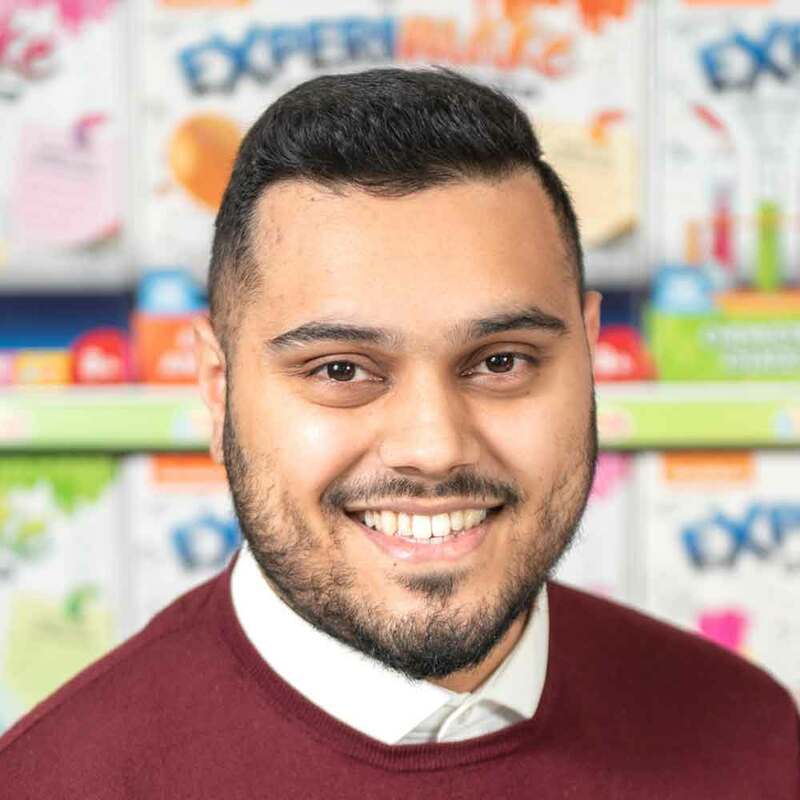 After graduating from Bournemouth University, I have been in the fortunate position to have worked for some amazing UK & International consumer companies on great brands like Wella, Karcher, Mega Bloks, Fisher Price, Ella’s Kitchen and now Addo Play since joining in January 2019 as Marketing Manager. 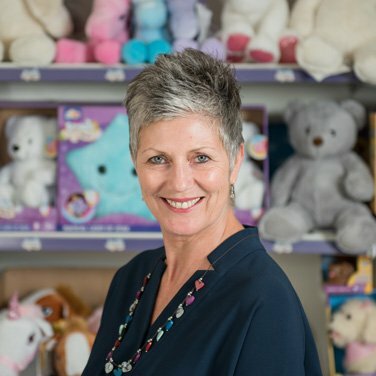 Having spent 10 years in the toy industry I have truly found where my passion lies and can’t wait to further my adventure with Addo Play. My favourite childhood toy was Subbuteo. My favourite Addo toy is Stormblasters Hurricane Warrior. 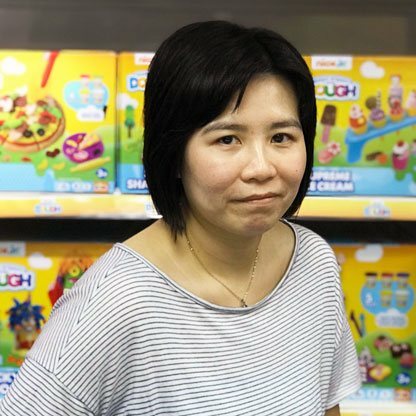 I spent the better part of my career in the Toy Sector from a Financial perspective. I have worked for Tyco, Mega Brands, Mattel, Tankterminals chemical industries (6 months) and now Addo Play Ltd. I love working in the Toy Sector and love working with numbers. My favourite childhood toy was Connect4. 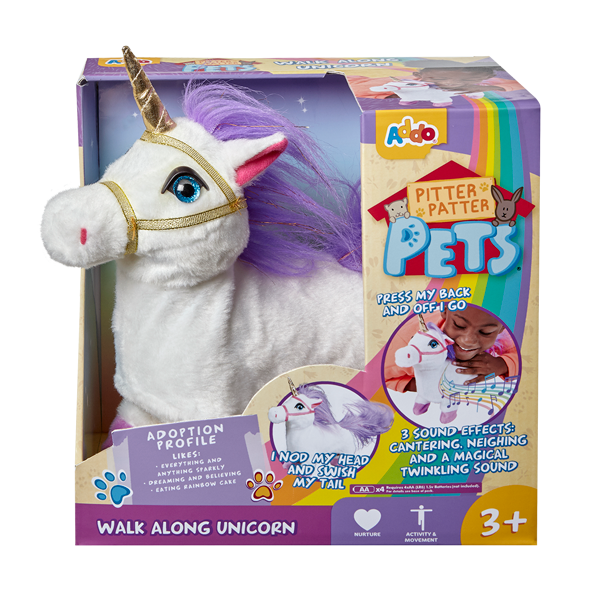 My favourite Addo toy is the Pitter Patter Pets Walk Along Puppy. 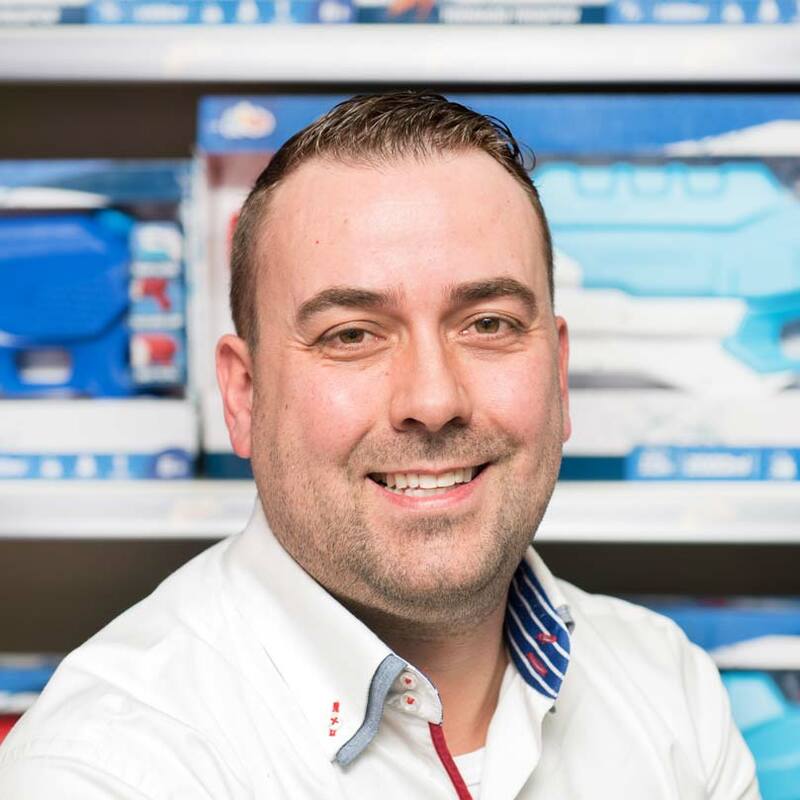 My career started in 2000 at the Finance Department of Mega Bloks (last year Mattel) & this for 15 years , before Addo Play I worked 1,5 year for Engels (a Belgian company that makes windows & doors), but I liked the International Business more & the Toy industry is a fun brand. My favourite childhood toy was Matchbox cars. 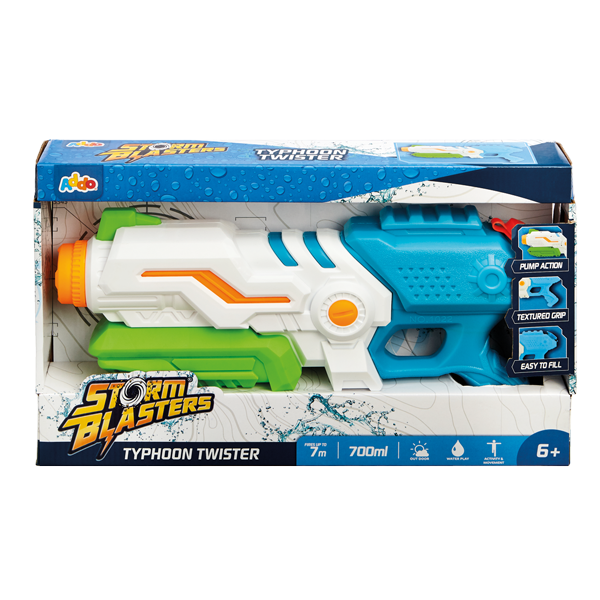 My favourite Addo toy is the Storm Blasters Hurricane. My career in Toys started in 1996 when I joined the wonder of Woolworths. 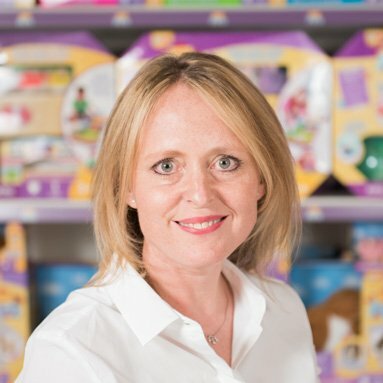 I worked in multiple toy and stationery categories up until 2010 when I joined Argos as the product development manager of Chad Valley, then went on to a publisher heading up the product development team and leading the UK sales team. And now my toy story really begins… at Addo! My favourite childhood toy was Swingball. My favourite Addo toy is B friends Amelia (who could not resist a red-head). 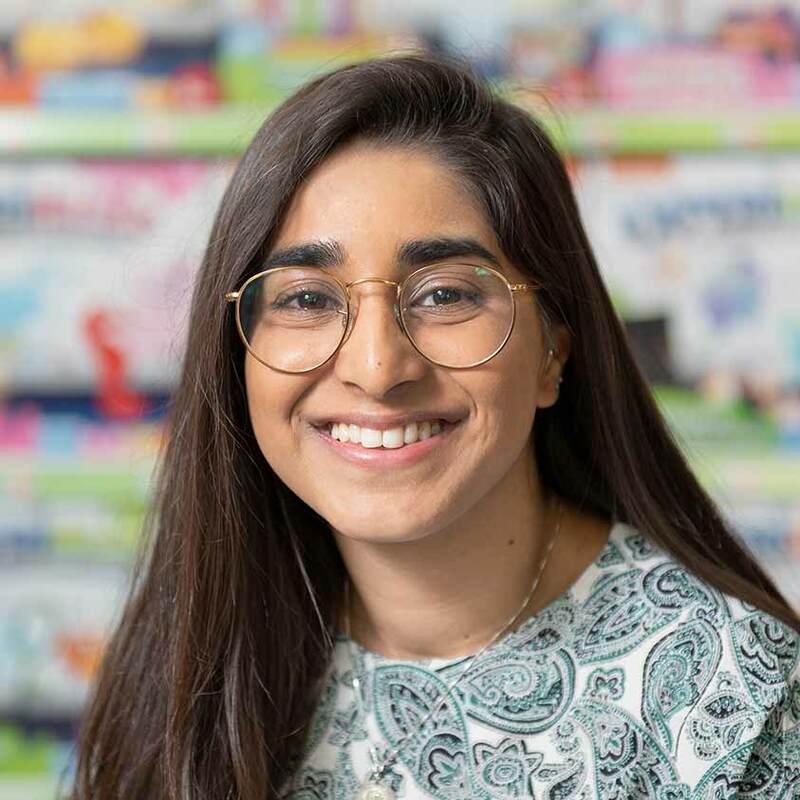 After graduating from University my career began at Mega Brands as a Marketing Analyst. 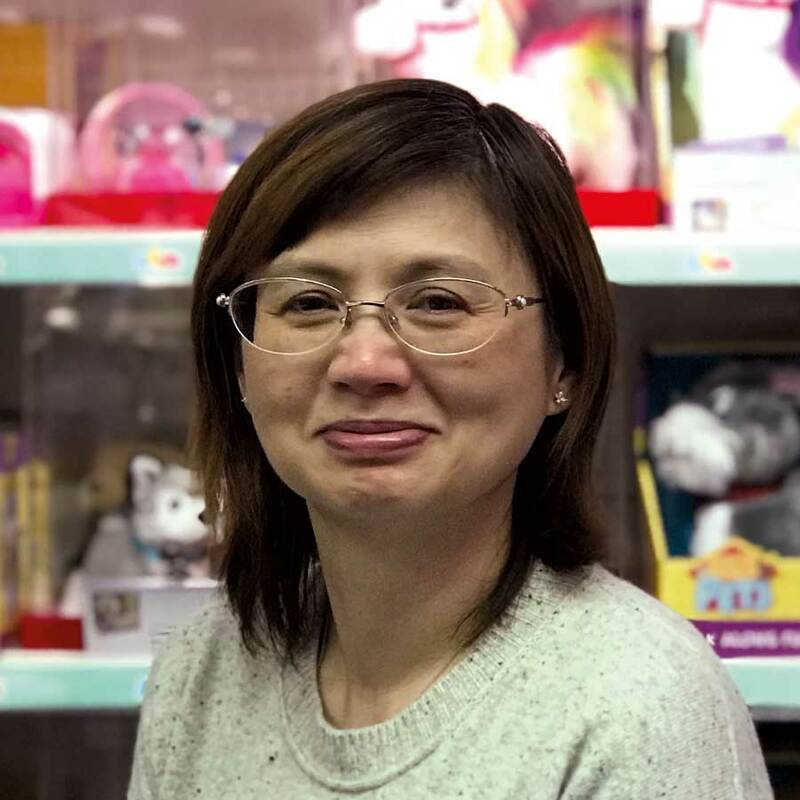 After two years I took some time to travel, but after 16 months, 11 countries and with some persuasion, I returned to the UK and toy industry working at Addo Play. My favourite childhood toy was Polly Pockets. My favourite Addo toy is the Out There Make Your Own Sock Unicorn. I graduated from the University of Surrey in 2017 and was looking for my next adventure and found it with Addo Play in the summer of 2018. I am very excited to begin this journey with Addo. My favourite childhood toy was Beyblades. My favourite Addo toy is Experimake. I have been in the creative sector for over 22 years, specialising in design, print and packaging. Delivering on the following brands; Hasbro Toys and Games, Waitrose, Johnson and Johnson and Tesco. My favourite childhood toy was a crying doll with a record player placed in its back. 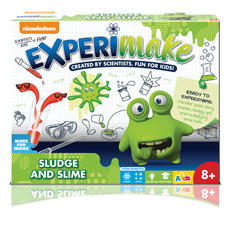 My favourite Addo toy is the Experimake range – Because I am a closet chemist! My creative adventure started in 2013 when I joined The Green Board Game Co as a junior designer. Several years later I am now part of the design team at Addo. Expanding my knowledge within the toy industry and enjoying being part of Addo's adventure! My favourite childhood toy was the Sylvanian Families. My Favourite Addo product is the Unique Boutique Tattoo Studio. I am passionate about designing for children. Much of my career has been spent within Childrens publishing, developing brands for the preschool magazine market. 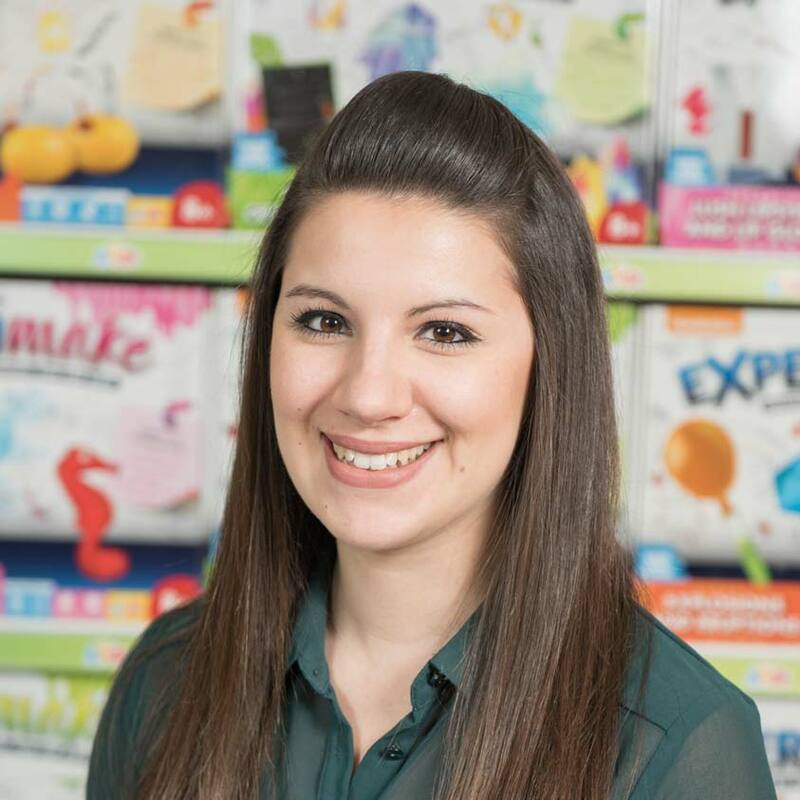 I am excited to be part of the Addo team and expanding my creative skills within the toy industry. My favourite childhood toy was my Polly Pocket. My favourite Addo toy is Ready Steady Dough and Bobble it! Over 20 years’ experience in supply chain and operations management. 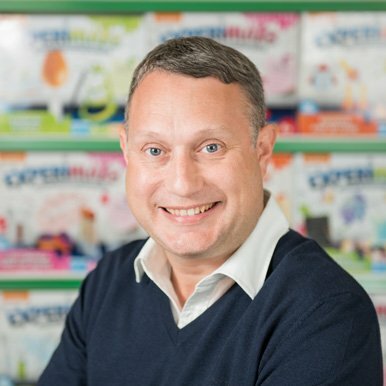 The last 8 years spent as Operations Director for a renowned homewares brand, distributing products to major retailers across the globe. Joining Addo in 2018, I am proud to be a part of what is a highly skilled and experienced Addo team at this exciting time in its development. My favourite childhood toys were Dinky Toys. 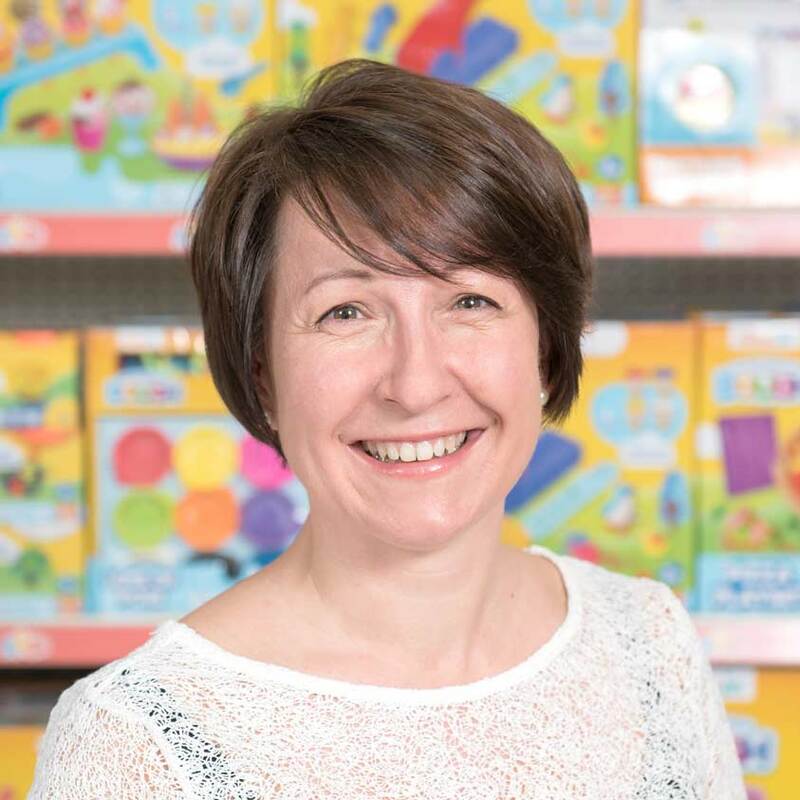 Manufacturing engineering management background with over 20 years QA experience in the Toy industry working for Argos & Toys R Us Europe before joining Addo Play. My favourite childhood toy was a Bendy foam donkey called Neddy. My favourite Addo toy is Snuggle Buddies Henry Bear. 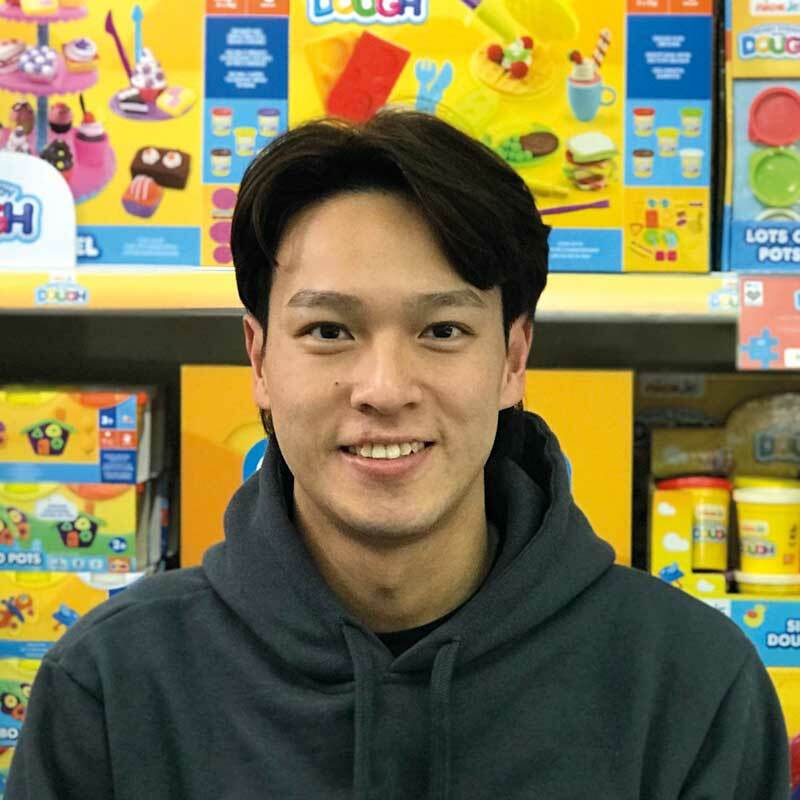 I started my QA life working for Toys R Us as a temp. I stayed for 3 years, gaining a qualification in Mechanical Engineering along the way. 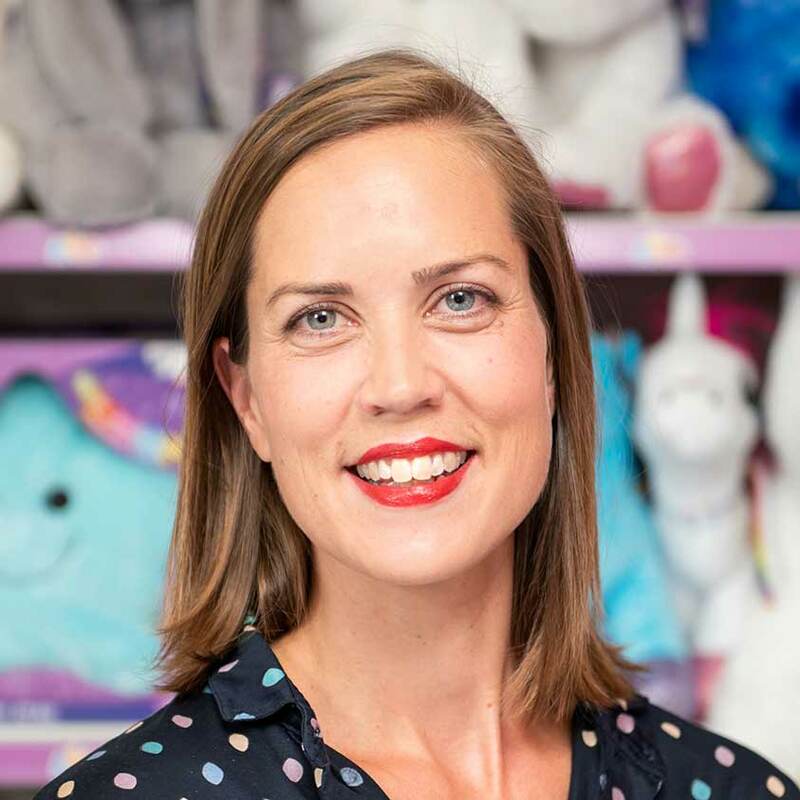 I then moved away from children’s products, working at Woolworths and then the Arcadia Group. 16 years later, I have found my way back into the toy world with Addo. My favourite childhood toy was Minty the green rabbit; even after she burnt her bottom on the oven, I still loved her! 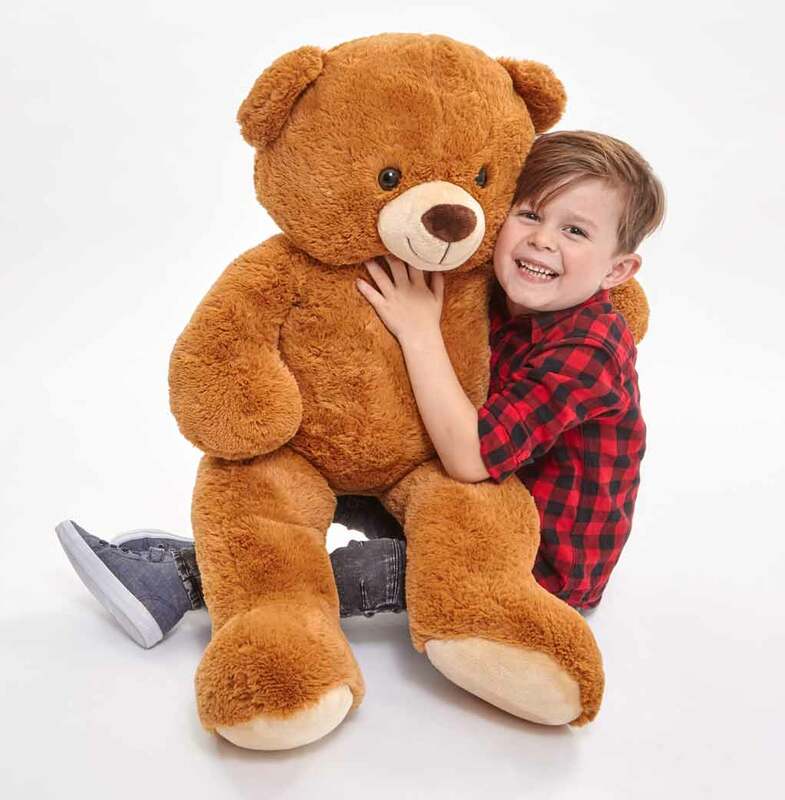 My favourite Addo toy is the Snuggle Buddies range, especially Henry the large teddy bear. 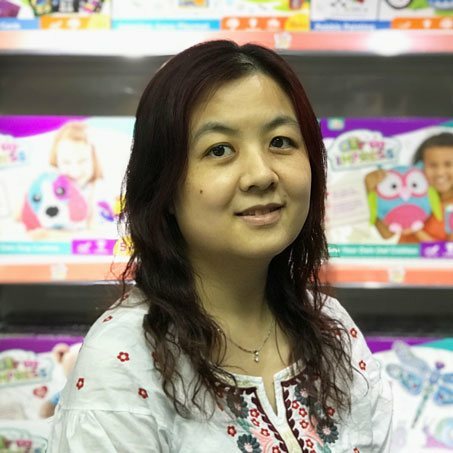 I have over 15 years' experience in QA and manufacturing engineering management in the toy industry for JETTA Company Limited and MOTHERCARE buying office. My favourite childhood toy was Lego. I have over 10 years’ experience in the toy industry specialising in quality assurance. My favourite childhood toy was a toy gun. My favourite Addo toy is Ready Steady Dough, Squeezy Shape Station. I have worked in many different industries such as building services, manufacturing and retailing. The job natures are all quite different, but one thing is applicable to all. Always communicate with your teammates! My favourite childhood toy was a Yoyo. 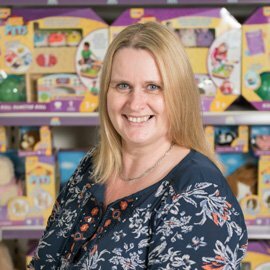 Over 20 years on toys sourcing, own label product development & business operations in UK & US major retailers like Woolworths, Hamleys, Warner Bros. I have a passion for buying & selling quality products from socially compliant sources. My favourite childhood toy was the Hoola Hoop. My favourite Addo toy is the entire Ready Steady Dough range. 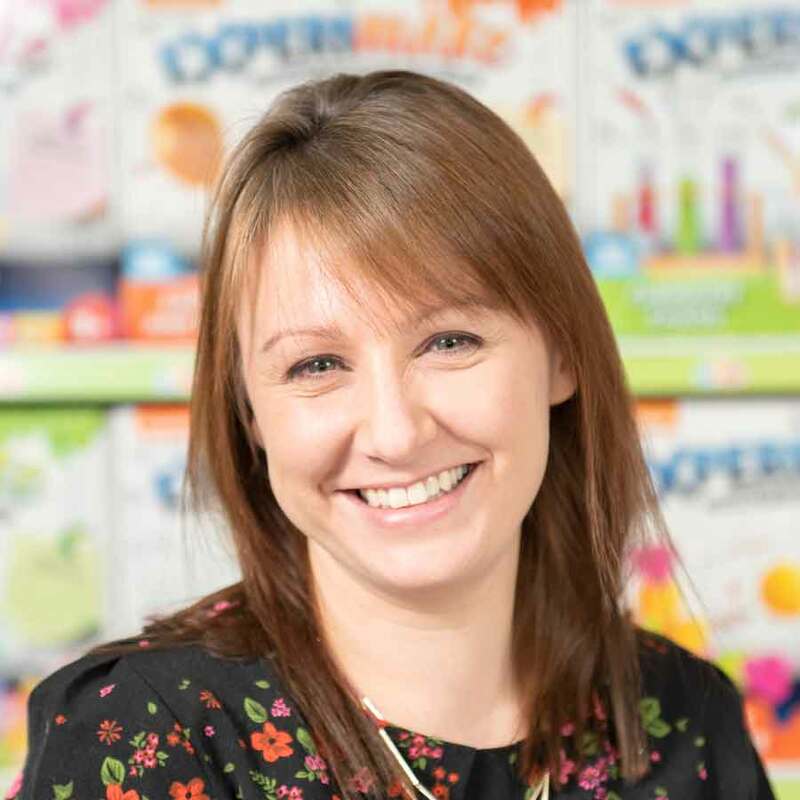 I have over 10 years' experience in merchandising, dealing with various products including household, stationery, Christmas trees, above-ground swimming pools and inflatables toys. My favourite childhood toy was my teddy bear, bubble blowing and wooden blocks. My favourite Addo toy is the Out to Impress Make Your Own Bunny Rabbit. 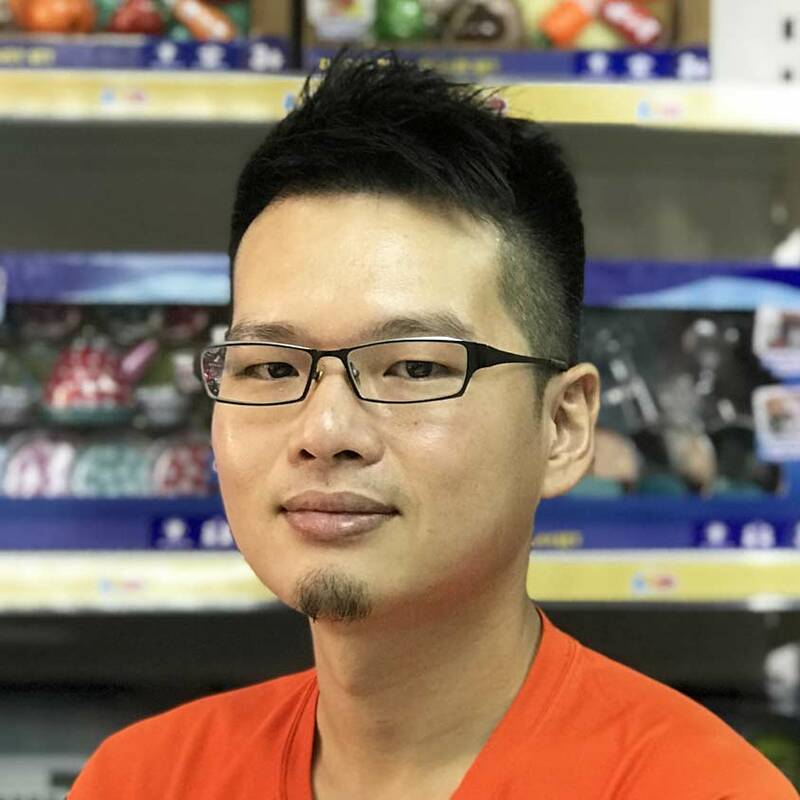 I have been working in merchandising for over 10 years and was a senior customer service supervisor at Mega Brands, China for 4 years & senior merchandiser in Creasian, Hong Kong for 3 years. I will bring all my customer service based merchandising experience to Addo which is an essential element to our business going forward. My favourite childhood toy was a Baby Doll. My favourite Addo toy is Out & About Bubble Blaster. My favourite childhood toys were Lego and Monopoly. 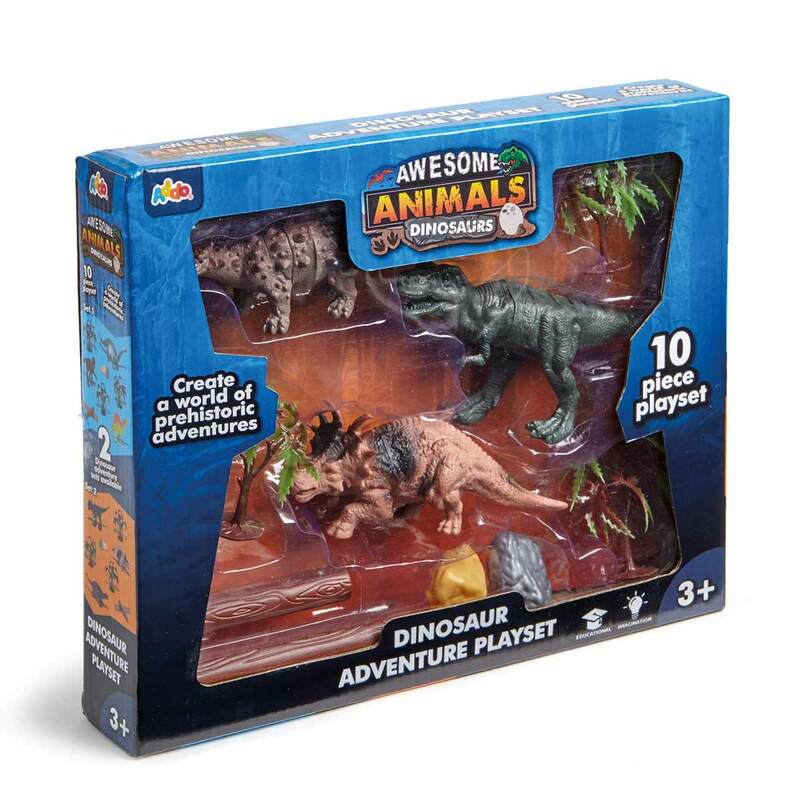 My favourite Addo toy is Awesome Animals dinosaur playset. 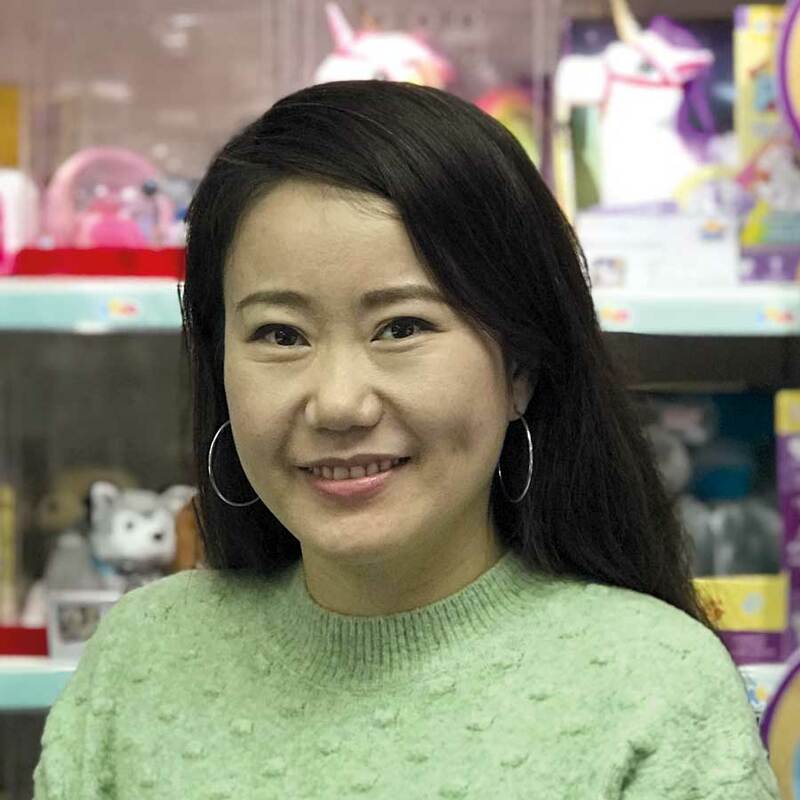 I have been working in the Toy sector for over 8 years. I am fully skilled in the product and product development process. My favourite Addo toy is Ready Steady Dough Squeezy Shape Station. 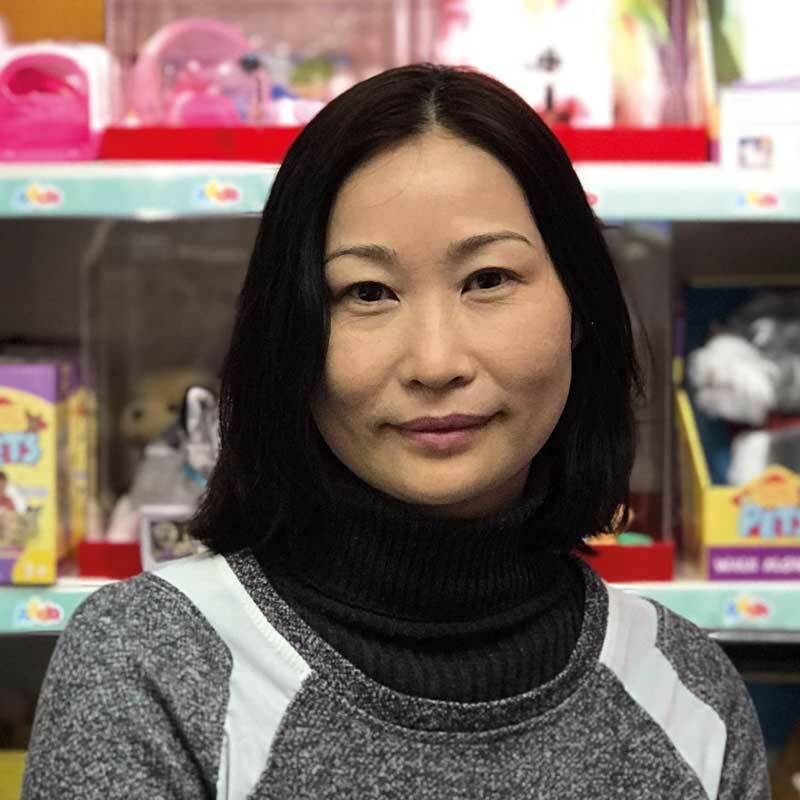 I have been working in the toy industry for over 17 years and have gained fantastic experience and strong skills during this time in vendor sourcing, project management and product development. My favourite childhood toy was a Barbie Doll. 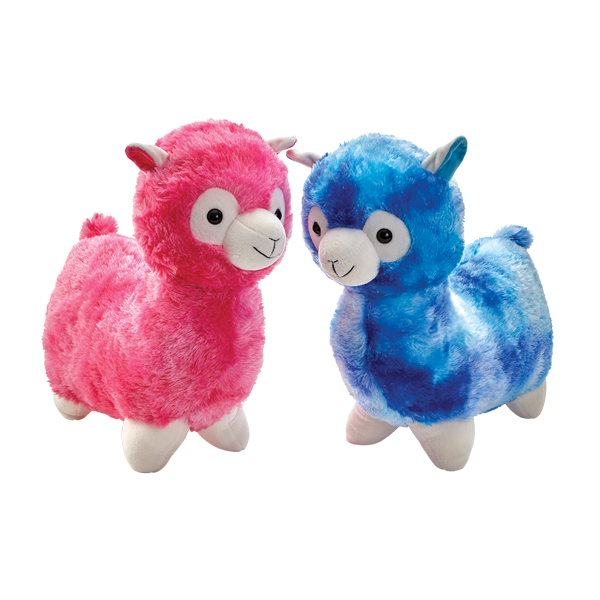 My favourite Addo toys are Pitter Patter Pets Playful Puppy and Snuggle Buddies Henry Bear. 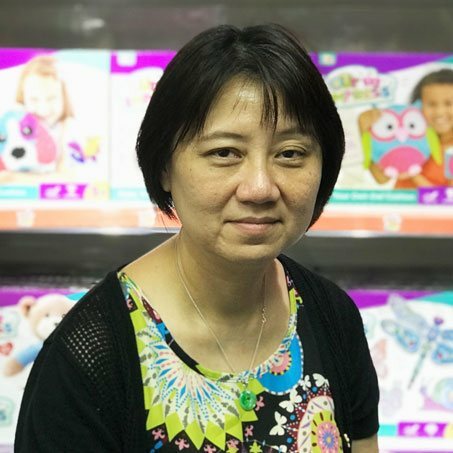 I have been working for over 20 years, for global trading companies in logistics of products including toys, garments and sundries. My favourite childhood toy was Cabbage Patch Kids. My favourite Addo toy is Snuggle buddies Light Up Bear. 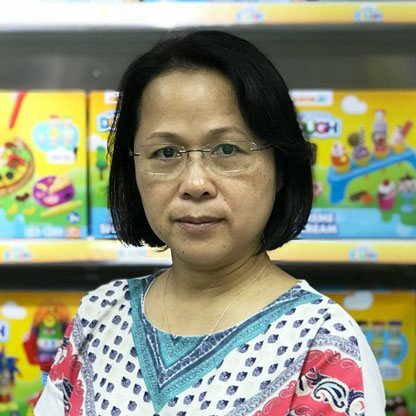 I have been working in toys for more than 15 years delivering everything from premium toys to everyday toys. In my experience I have found safety issues and high technology products to be the biggest impacts on businesses. My favourite childhood toys are Winnie the Pooh & Barbie. Break it up then stick it back together again the possibilities are endless! This unique putty also comes in a wide range of colours so is great to collect. 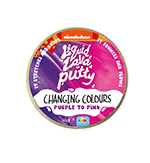 Keep your Liquid Lava Putty in its tin container at home, on your school desk and in your school bag- that way you’ll always have Liquid Lava Putty to share with friends! The Pitter Patter Pets love nothing more than making you happy with each pet moving in their own way exciting way. Let the Busy Little Hamster explore your home, watch the Happy Hoppy Bunny hop around your garden or let the Unicorn hobby horse take your little one into a world of make believe. Welcome to a world of discovery with our Nick Jr. Ready Steady Dough range. Become a hairdresser to some bright and fun characters from Nick Jr. Twist, plait, cut and accessorise to your hearts’ content or try your hand at inventing Crazy Characters or create and make your very own Dough Cafe. With Nick Jr.’s range of modelling dough children can have hours of infinite fun- the possibilities are endless! Ready Steady Dough is award winning! See our news page for details. 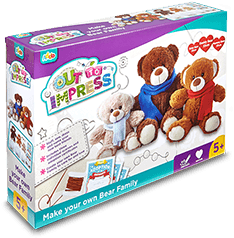 You’ll be making and creating for hours with the endless options in the Out of the Box craft range. From Pebble Painting Set, to Bead Tubs (Pop ‘n’ Click Beads, Iron Art Beads, Wooden Beads and Shimmer Beads), to our Amazing Aqua colour books and mats. 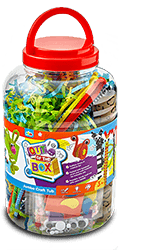 The Out of The Box range has everything you need to craft and stimulate young children. Get crafting with one of our craft sets. Create your very own cuddly best friend, step back and admire your handywork, or impress your friends by trying your hand at designing your own jewellery. 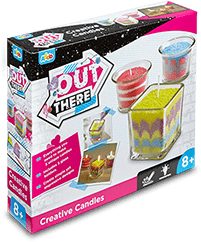 Amaze all your friends with your design and crafting skills with the Out There range. Enjoy our sets with friends whilst learning how to sew, or create fun and bright jewellery, glitter glass or candles. Try out our amazing new scraper foil art in the Out There range, and frame your beautiful piece of metallic art. Water blasters at the ready! 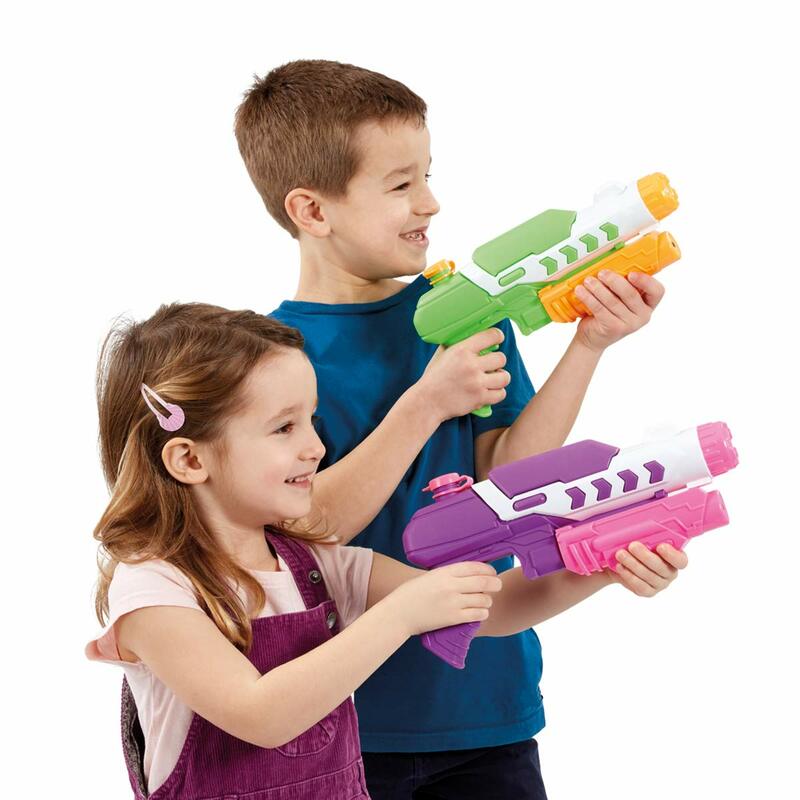 You and your friends will be in for a soaking with our range of water firing Storm Blasters with a firing range of up to 10 metres! Arm yourself with the Hurricane Warrior for ultimate water power or sneak up on someone with the smaller Jet Stream and catch your opponents unaware! 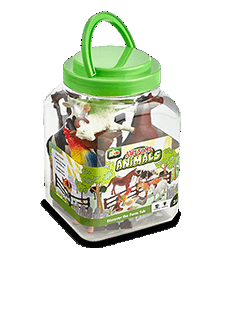 Open a tub of our Awesome Animals to discover dinosaurs, farmyard animals, jungle creatures or creepy crawlies. Bursting with figurines and accessories to let children’s imagination take them to far reaching corners of the earth or prehistoric lands. Encourage them to tell stories using the creatures whilst helping them learn about the world around them. Science, Technology, Engineering and Maths (STEM) education is important and each set will enable the development of at least two of these skills. The skills and knowledge gained are essential for children’s learning. EXPERIMAKE sets not only support education but are fun and enjoyable for parents too. B fun, B fab, B friends! Exclusive to Addo is our B friends Dolls range. 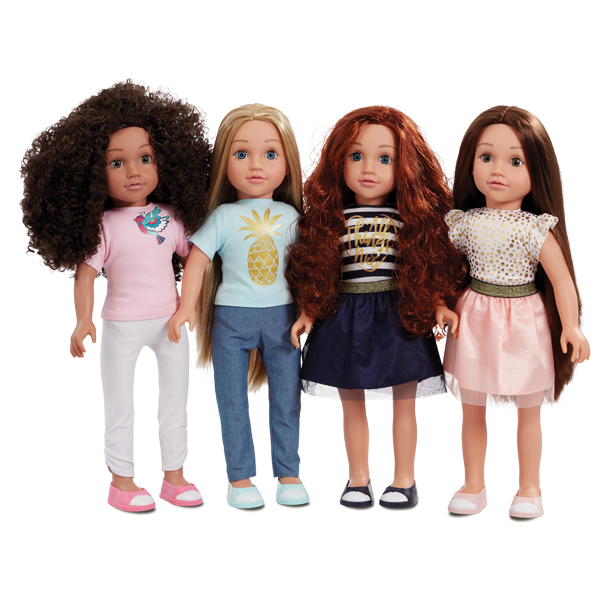 The B friends Dolls just want to be your child’s friend. Through play B friends encourage creativity, confidence and character. Each beautiful doll, has their very own unique personality and style. Our dolls are made with love, care and attention. With natural look and feel hair. The contemporary packaging highlights the importance of friendship and the fun of hair play. There is also a range of accessories and cute outfits to try out, each has been especially selected and designed to match latest trends. Unique Boutique has just launched our very own Tattoo Studio range. 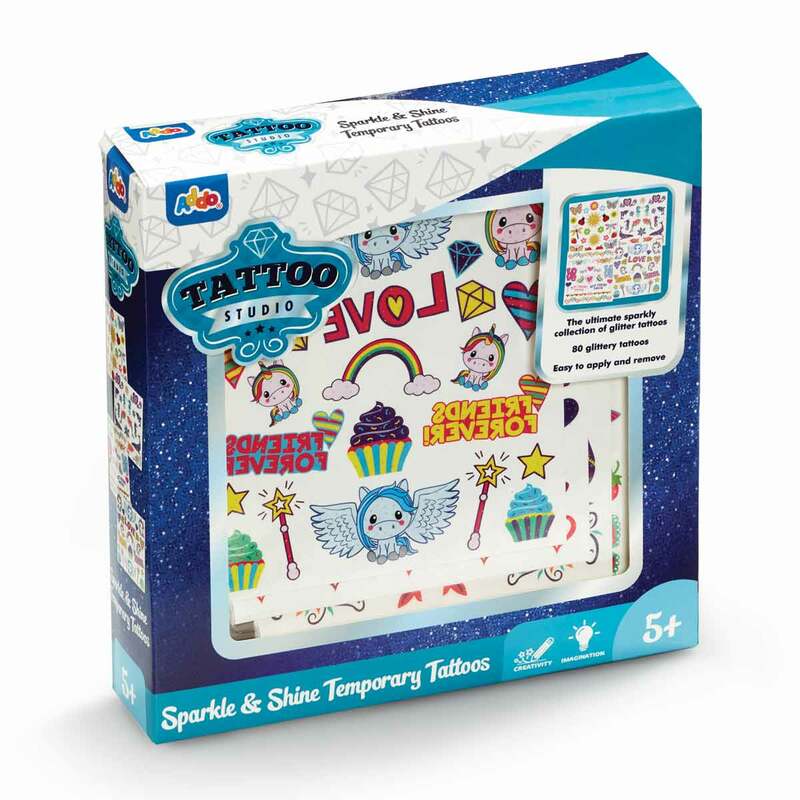 Gorgeous glitter, totally cool and trendy foil temporary tattoos will perfectly enhance any outfit. Let your inner Princess shine with our range of dress up shoes & accessories or impress your friends with our new range of makeup, nail art and rainbow hair wands. Use the booklet in our Nail Art Set to show you how to create beautiful designs. Or, let your inner artist shine and create your own whilst using glitter and gems for that finishing touch. Delight your little ones with our Be My Baby range to nurture and love. The dolls range from my very first soft doll to a cute and cuddly playset. Our Be My Baby accessories ranges from nappy packs, potty sets, cosy carrier and lots more! 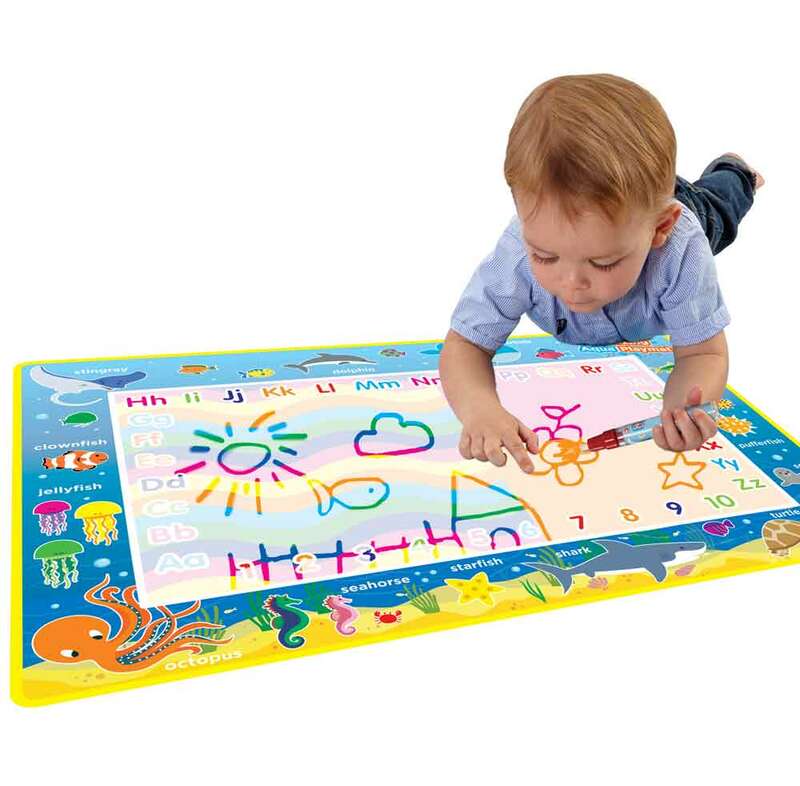 Be My Baby inspires precious first steps into loving play and imagination. Super soft and made with love our Snuggle Buddies soft toys range from Teddies, Llama’s, Flamingos, Unicorns and friends are always there for snuggles. Stretch it mold it, bobble it! Creative mess free fun! 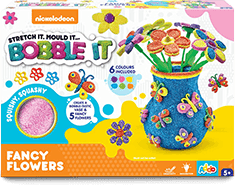 Let your imagination run wild with the Nickelodeon Bobble Bags in 8 different colours or create a bobbletastic picture frame or vase and flowers with one of our Bobble It sets!